The 2019-20 Faith in the Future High Schools Maguire Scholarship Application is closed. The goal of the Maguire Scholars Program is to support and enrich the leaders of tomorrow by providing an opportunity for an excellent education. 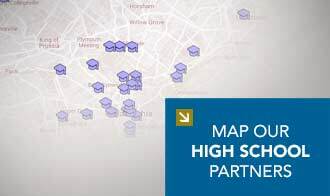 Maguire Foundation forges partnerships and strategic alliances with Independence Mission Schools (IMS), Faith in the Future as well as other high schools, colleges and universities. If you have any questions about applying to become a Maguire Scholar in a Faith in the Future High School, please contact the Archdiocese of Philadelphia. Any questions for other high schools, please contact the high school directly. © Copyright 2016 Maguire Foundation | All Rights Reserved.